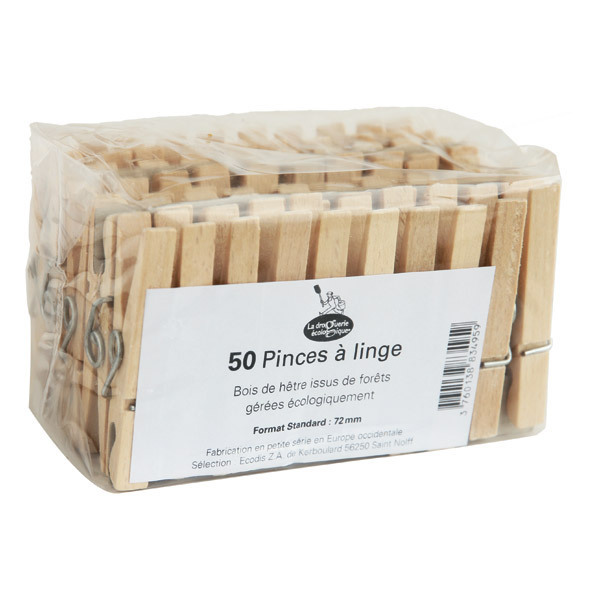 Box of 50 wooden clothes pegs, made from beech wood. 50 Wooden Clothes Pegs, made from beech wood. Ecodis was created in 2000 and aims to provide a wide range of eco-friendly products to consumers all around the world. Ecodis collaborates with its suppliers to create new products. It strives to develop green products as well as new certifications and eco-labels. Its products are also selected according to eco-friendly criteria, such as the use of local handcraftmanship and non-toxic and renewable materials.